Full-flavoured smoked streaky bacon. 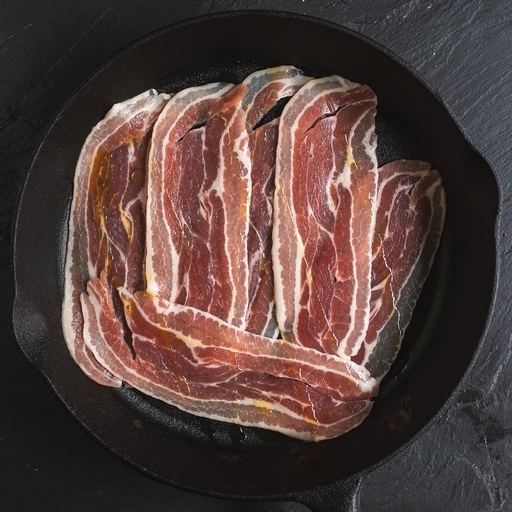 The organic Wiltshire pork is dry cured by hand to let its natural sweetness shine, and lightly smoked over beech wood. Brilliant for bringing savoury depth to most dishes – or just the thing for crispy, golden-skinned pigs in blankets, or wrapping around chicken and white fish. Contains an average of 6 double rashers.